Cheong-ja - This is the name of the jade green pottery and is called either "celadon" as we have called it here, or "green celadon" to distinguish it from other types of Korean pottery. The literal meaning of the word Cheong-Ja is blue/green porcelain. Bun-cheong - This is the name of the brown or light brown pottery and, although a misnomer since celadon literally means green, it is sometimes called "brown celadon". For lack of a proper western term for this unique Korean pottery we have called it by either its true name, Bun-cheong, or "brown porcelain" to help distinguish it from the other colors of pottery. Baek-ja - Although it is sometimes, incorrectly, called white celadon, Baek-Ja literally means white porcelain and is the name for the white pottery made by Korean artisans. White porcelain is the name we have used here. Though the history of Korean pottery stretches back to the Neolithic age and the rough "Black Comb Pottery" produced by early tribes, the pinnacle of Korean pottery was the development and perfection of celadon (Cheong-Ja) during Korea's Koryo Dynasty. The Koryo Dynasty, which lasted from 918 to 1392 AD had a strong Buddhist influence which shaped many of it's cultural achievements. Buddhist temples flourished during the Koryo period, and with them grew a need for fine vessels to be used during the many ritual ceremonies. In the middle of the 10th century Korean artists, some who had been schooled in China, began creating celadon by using inlay and copper glazing techniques which were developed first in China but only fully developed and perfected by Korean artisans. The Korean use of these techniques were unique in the history of pottery. The level of fine quality and beauty they were able to achieve in their work surpassed that of other countries and came to be revered by even the Chinese for it's elegant, yet simple beauty. The Koryo Royal Court also used some of the finest examples of celadon pottery in their palaces both as vessels for daily use and as objects of fine art. The finest examples of celadon were produced during the middle and latter part of the 11th century by artisans who remain unknown today. With the Mongol Invasions which started in 1231 AD the flourishing culture began to decline, and along with it, the quality of the pottery being produced. 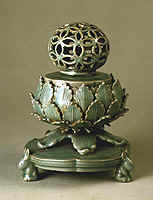 By the beginning of the Chosun Dynasty (1392-1910) most of the delicate manufacturing techniques for celadon had been lost. During the middle 15th Century in the Chosun Dynasty, brown porcelain, Bun-cheong, appeared and became the standard for daily use by the people of the period. It was used by all classes of society unlike celadon which had been used only by Buddhist monks, royalty, and aristocrats. It was somewhat rougher in finish than the celadon had been, and did not possess such delicate beauty. White porcelain appeared in the early 16th Century and like the earlier brown porcelain, was widely manufactured and used by the common people throughout Korea. During the late 16th century the Japanese launched a series of invasions into Korea (ImJinWaeRan) and forcibly relocated many of the Korean artisans to Japan. These transplanted artisans helped to influence the direction and style of Japanese pottery and arts and account for the great similarity between the Korean and Japanese arts. In 1910 Korea was forcibly colonized by the Japanese bringing to an end the Chosun Dynasty. During the Japanese colonial period (1910-1945) Korean pottery as an art form, all but died out. To be sure, white porcelain and some brown porcelain was still produced but it was of a lower quality for daily use and not considered art in itself. After Korea's liberation from Japanese rule at the end of WWII and through the Korean war (1950-1953) survival, and not art, was the order of the day. But in the mid-1950s a group of Korean artisans set out to discover the lost art of Koryo celadon. Since that time they have made great progress in re-discovering the lost art and today are nearly able to reproduce the stunning beauty of the original Koryo celadon. Modern celadon can be roughly grouped into three different categories - those pieces with inlaid designs, pieces with incised or molded designs, and those with no design (plain). Although we love all three styles, we particularly like the plain designs which show off the rich color and delicate pattern of crazing under the glaze. Both the designs and shapes used in Koryo celadon were representations of the spiritual beliefs of the Korean people. These beliefs were fostered by Shamanism, and the Buddhist beliefs of the era. Following are the symbols most commonly used on inlaid celadon and their meanings. Circle: The circle represents the Sun and worship for the Sun. Fish: The fish represents a superior realization. Tiger: The tiger design symbolizes a guardian, and charm. Peony: The peony depicts richness and honors. Dragon: The dragon stands for the all mighty. Duck: The duck symbolizes the Premiere ranking. Chrysanthemum: The chrysanthemum symbolizes health and well being. Crane: The crane represents Immortality. Encircled cranes are female, no circle is male. Pine Tree: The pine tree depicts royalty and fidelity. In addition to the above symbols and their meanings, the actual shape of the vessels has meaning as well. The shapes of the vessels are derived from nature, as in the case of the bamboo shoot-shaped pot shown here, or the Korean melon (Cham-wae) shaped vase here. Other shapes adopted from nature include animal shaped vessels or those with animals as part of their shapes like the turtle decorated incense burner here. The human form is also subtly represented in Korean pottery. The vases and bottles (Mae-byeong, Ju-byeong), represent male and female respectively. The long slender shape of the bottles with a gentle slope at the bottom expresses the voluptuous beauty of femininity, while the wide shoulder and stockiness of the vases, here, represents the masculine form. The manufacturing process of Korean celadon is a long affair involving at least 10 steps. The first step is to gather the clay; there are several regions in Korea where the special clays used in each type of pottery are gathered from river banks. Each area's clay is said to possess certain qualities essential to the production of fine pottery. Frequently the different clays are mixed to obtain the perfect blend, after which it is prepared for throwing. Forming and molding are the next steps and are all done by hand unlike ceramic ware which is made in molds. Asymmetrical vessels are turned on a wheel while different shapes are formed by hand or modified after being thrown on a wheel. Next the inlaid pieces are engraved and inscribed while the plain shapes are not. The inscribed portions are then filled, or in the case of painted works the paint in then applied. All pieces are then fired. The traditional hand hewn kilns were built on a hill and had a series of small chambers all connected to the main hearth at the base. Each chamber had an access door on the side in which the pottery was put in or removed. After the fire was built in the hearth the heat would rise up through the series of chambers creating the necessary temperature for each type of firing in each of the chambers. Though several grades of celadon are produced, we at Korean-Arts pride ourselves on offering only the finest celadon wares available. The difference can be seen in the quality and detail of the inlay, painting and the glaze. Upon close inspection, the inlaid and painted portions of a lower quality piece will appear somewhat blurred and indistinct, while those of better quality will be clear in detail and form. The depth and rich color of the glaze are another telling feature. The deep jade-green glaze of quality works has a rich color that far surpasses that of its peers. Celadon is the name of the glaze technique, and the ceramics produced by using the technique. There are other types of green-glazed ceramics, which are not necessarily celadon. Do not confuse celadon with green glazed ceramic. Pieces of similar size, shape and even the general color of Korean celadon can be seen that are not celadon at all but simply green glazed ceramic. These wares do not posses the rich colors of the celadon works, nor do they have the distinctive web of fine cracks, crazing (see it here), that can be seen in true celadon. Although we prefer the richness of the celadon pieces, some of the ceramic figurines have been popular with our customers and so we do have several available. Let's take a look at the difference between a ceramic figurine, here, and a celadon figurine, here. Notice the greater depth of color and the fine structure of cracks under the glaze on the celadon piece - that is what defines the quality of true celadon. Korean-Arts' celadon pottery is hand made and as such differs slightly from piece to piece. Although in most cases the pieces we ship and the ones shown are nearly identical there are occasions when the differences are pronounced. In these instances we have posted a notice in red telling you of the differences. We are sorry for any inconveniences this may cause. Check out our collection of Korean celadon - click here! Korea's Pottery Heritage Vol. II. Seoul International Publishing House, 1990: A complete text devoted primarily to the celadon pottery of the Koryo period with many great pictures. Korean Celadon. G. St. G. M. Gompertz, 1963: The definitive text on the history and character of Koryo Korean celadon. Korean Cultural Heritage Volume I Fine Arts. The Korea Foundation, 1994: This is an excellent book with lots of large color pictures depicting Korean fine arts including painting, handicrafts, architecture, and of course, celadon. Korean Arts of the Eighteenth Century: Splendor & Simplicity. The Asia Society Galleries, 1993: Contains much information about the evolution of Korean painting, famous painters, and Chinese influence. Korean Arts Volume Two Ceramics. Ministry of Foreign Affairs, Republic of Korea, 1961: A somewhat dated, but detailed text of the developments of Korean pottery with many poorly reproduced pictures. The Art of Burma, Korea, Tibet. Alexander B. Griswold et al. 1964: Contains a detailed history of Korean art, culture, history, etc. The World of Korean Ceramics. Jon Carter Covell and Alan Carter Covell, 1986: Dae-Won-Sa., Honolulu, Hawaii: A more contemporary work emphasizing the impact of the Japanese occupation on, and the modern re-birth of, the Korean celadon culture. Korea: Art and Archaeology. Jane Portal, 2000: Thames & Hudson Inc., New York: Fairly detailed work stressing the archaeological side of old Korean art. Has some interesting bits in the back showing the molecular make-up of inlay slip used in celadon. Korean Art and Design. Beth McKillop, 1992: University Press, Cambridge: A good general overview of the whole range of Korean arts from clothing to furniture with lots of beautiful photos. A Single Shard. Linda Sue Park, 2001: Clarion Books., New York: A work of fiction, written for youths, but nevertheless, an enthralling work showing what it may have been like to be a potter's apprentice during the Koryo Dynasty. The National Museum of Korea has a great display of authentic Koryo Dynasty celadon, white porcelain, and Bun-cheong (brown porcelain) pottery. To see the collection click here, then click on "Artifacts Search" on the right side of the top menu. A categories page will appear. Select the second category on the menu, "Material", then "Ceramics". From there you may select the type of works you would like to see; we recommend their "Celadon", "Buncheong ware", and "Blue and White Porcelain" collections. The museum's collection will appear as thumbnails at the bottom of the page. Click on a thumbnail to see a larger image. Ho-Am Art Museum has a nice collection of Koryo celadon, earthenware, Bun-cheong (brown porcelain), and white porcelain. To go to the English home page click here. To go to the celadon section, click here, then click on "celadon" under the ceramics menu. They have nine galleries of historic Korean celadon in addition to Earthenware, Bun-cheong ware, and white porcelain. and you will be taken to the virtual tour. A pop-up may appear asking you to install a plug-in (a small program that lets you view the tour). Should it not appear and the tour does not start (the picture on the screen starts panning), you may click on the small "Plug-in download" button on the lower-left of the screen to download it and start the tour. Hold down the left mouse button and move the cursor left or right on the picture to pan in that direction. Click on an object to see a description of it, and a larger picture. With the cursor on an object, use the "Shift" key to zoom in. Use the "Ctrl" key to zoom out. Arts of Asia Magazine the foremost international Asian arts and antiques magazine, is one of the most beautifully illustrated and richly descriptive magazines about the Asian arts. Though their website does not contain the entire contents of the magazine, it gives one a taste of wealth of information available through their printed publication. To go to their website, click here. KoreaTips has a good culture section featuring Korean history, culture and traditions. It includes sections on the arts, Han-bok (traditional Korean clothing), and Han-gul (the Korean alphabet). To go to the cultural arts section click here. To go to the homepage click here. The Japanese Connection A beautiful collection of handmade crafts from Japan. The Online Trading Post Native American arts. Bulgarian art online gallery We are dedicated to The Bulgarian art and culture. The purpose of our website is to share the Bulgarian art and to make it well-known all around the world. www.bgnart.com is a Bulgarian online art gallery, richly filled with different Art genres (styles). We hope you enjoy the visit! Isabel Gallery Oil painting reproduction, oil portrait painting, etc. Downhome Girl Arts, crafts, etc. The Finest Arts - Oil Painting Reproductions Online oil painting reproduction store with 15,000 in stock covering genres of abstract, contemporary, modern, impressionism, renaissance, and many more, at very affordable and competitive prices. Boxes Info4U Everything Boxes, from Aluminum Tool Boxes to Wooden Wine Boxes. Authentic & Unique Online Shopping Center Unique Bowls, Plates and other products from Istanbul. Bali Sterling Silver Beads Wholesale Wholesale Bali beads and sterling silver jewelry. Cheap Bali beads, spacers, caps, findings, clasps and toggles, pendants from Jogja Silver for your beaded jewelry. TheArtSource.org We represent work by carefully selected Briitish contemporary artists, hosting 1,700 paintings, drawings, photographs, limited edition prints and sculpture pieces. Arts-oilpaitings.com World famous oil paintings reproduction site. How to paint abstract art Painting abstract art is easy if you know how to do it. Oil Paintings, Art Painting Reproductions For Sale, Hand-made Oil Paintings: Art-Gallery4u.com offers oil paintings, Museum Quality handmade oil painting reproductions of famous artists, oil paintings are 100% hand painted and guaranteed the lowest prices. We offer flower, landscape, animals, portrait, abstract oil paintings, fine art reproduction, replica painting, oil Painting technique, original oil Paintings, discount Paintings at wholesale price. Oil Paintings. Oil Painting Reproductions Handmade Oil Painting Reproductions on Canvas. Buy Art Reproductions from 1st-Art-Gallery.com, the largest gallery in the world. 100% handmade with free worldwide shipping. Choose from more than 40,000 paintings and 5000 artists. Money-back guarantee on all orders. Oil Paintings The Oil Paintings produced by our talented artists are exhibited in our Online Art Gallery for you to view and buy at affordable prices. Discount Paintings - Cheap Framed Canvas Oil Paintings Offers affordable home decor, area rugs, furniture, home accents, discount home accessories, and cheap clearance items. DiamoreGold.com As the leading manufacturer of fine jewelry we offer outstanding quality, selection and value. Our store features an exclusive collection of diamond rings, diamond pendants, diamond earrings, diamond bracelets, and Gemstone jewelry. My Korean Wedding Your complete korean wedding planning guide. Find korean photographers, wedding reception facilities, wedding ceremony sites, wedding cakes, wedding dresses, and more! Reproduction Oil Paintings,Art Reproductions On Canvas Fine Art Reproductions Hand Painted in Oil on Canvas Oil Painting Art Reproductions of Museum Quality Hand Painted Portraits Made From Photographs. Supplying music and sound design to commercial multimedia. Specialising in composing music and sound design for the moving image David Beard Music Production creates original music for film, TV, corporate video, commercials, games, dance, theatre and Podcasts. Gogh and Klimt and many other famous artists. Bulk Glass Jars Jar Store provides a wide selection of Libbey designer glass jars, mason jars, votive and apothecary jars, canning jars and more. Bobsama in Korea A blog about Korea with some comedy, informative language information, and nice pictures. AllSouthKorea.com South Korea Directory and information on the web. SouthKoreaWeb.com - South Korea Directory and information on the web. Connection Channel Free Greeting Cards, etc. Hawaiian Island Wedding Planners: Happily ever after, should begin in Hawaii with the assistance of Hawaiian Island Wedding Planners. Customized weddings, vow renewals, and commitment ceremonies on the Hawaiian Islands. Let the fantasy begin! Wedding Favors, Birthday & Party Supplies & Baby Shower Favors by Party Favors Etc We offer unique and elegant memorable favors for your special event. Surprise your guests with thoughtful and beautiful mementoes chosen just for them, quality favors to create a memorable event. Elegant favors for Wedding, Parties & Baby Showers. 925 Silver Jewelry,Wholesale Sterling Silver Jewelry By Silver Jewelry Wholesaler : US925.com 925 Silver Jewelry,Wholesale Sterling Silver Jewelry By Silver Jewelry Wholesaler : US925.com. We are the prime source of premium quality wholesale 925 sterling silver jewelry from a leading jewelry wholesaler in Thailand. Online Store: Diamond jewelry & gold jewelry As the leading manufacturer of fine jewelry we offer outstanding quality, selection and value. Our store features an exclusive collection of diamond rings, diamond pendants, diamond earrings, diamond bracelets, and Gemstone jewelry. Linkexchangeoutsourcing directory - Arts Category Linkexchangeoutsourcing is a collection of sites available in web world. We encourage you to add your site as well. RandyDating Dating Site Reviews and More! Tibetian Jewelry David Weitzman Tibetan jewelry collection includes the Om, Hung, Tibetan Knot and the Lotus flower symbol. candy wrapper wedding favors Personalized wedding candy bar wrappers for your wedding reception. They make an excellent party favor. Choose from a wide variety of designs and themes, no extra charge for custom orders or photo inclusion. Ask about our free shipping offer. Sara Web Popularity Sarawebpopularity is an online directory. Which aim to provide the quality link to the users and complete details about all Categories. Date-match.com Date Match is the right place for submitting Stories about Dating Sites. Main Source of Travertine and Onyx. Buy on Line. Source of natural stone directly from quarry. 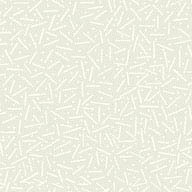 We offer Travertine, Limestone, Marble and Onyx in Block, Slab, Strip and Tiles. Main Source of Travertine, Block, slab and tiles from Persia. Life Insurance Quotes Compare prices on life insurance offered by leading companies in Canada, the US, and the UK..
Wholesale Silver Jewelry Large collection of sterling silver and cubic zirconia jewelry at manufacturer prices. Buy Essays Online Direct Essays has thousands of essays, term papers and book notes ready for direct access. Gucci Sunglasses Gucci sunglasses direct to the consumer at discounted prices. newspaper distributor to the hotel industry and other specialist venues in the UK, Europe and Asia. Buy Wedding Gown Dress We sell all kinds of vintage wedding gowns, custom made wedding gowns, plus size wedding gown, bridesmaid dresses, flower girls dresses, prom dresses, mother of bridal dress and other bridal dresses. Discount Jewelry Offering precious jewelry at discounted prices. Dress,Wedding Gowns We offer designer bridal gowns, custom made wedding gowns, plus size wedding gown, wedding gown accessories, bridesmaid dresses, bridal shoes, flower girls dresses, prom dress. Wedding Portal Indian wedding and wedding portal website to help find everything you want to know about Indian weddings. Indian Astrology Astrolife.com Is Your One-stop Source For Authentic Indian & Vedic Astrology Content, Daily Horoscope, Birth-Charts, Match-Making And Gemstones. Nike Shoes GeekSneakers.com provides you with daily sneaker news, Release Dates, Reviews, Information and more on Nike Air Force Ones and Air Force Jordans. Air Jordan Shoes AboutSneakers.com is a blog updated 24/7 dedicated to Michael Jordan Shoes, Release Dates, Reviews, Information and much more. Gucci Shoes GeekShoes.com provides you with daily news, updates and reviews on designer shoes including Coach, Gucci, Prada Shoes and much more. Gucci handbags Daily updated blog that Offers handbags reviews and release dates on designer brands like chanel, prada, and louis vuitton. Watches GeekWatches.com is your #1 destination for daily news, updates and reviews on watches including Rolex, Fossil, Seiko, Omega, Citizen Watches and much more. London Film School Warning - London Film School Warning - Learn how to save $60,000 by shooting your own feature for much less. Discount Bridal Gowns, Bridesmaid Dresses, Prom Dress, Evening Dress and Wedding Accessories For bridal . Discount wedding products, from bridal gowns to shoes to suit your wedding day,custom made dress can be done by us. Kitchen cabinets and bathroom vanities from Kitchen Cabinet Depot - Kitchen cabinets and bathroom vanity online catalog from Kitchen Cabinet Depot. Designer sunglasses Authentic designer sunglasses for mens & womens including Bvlgari, Chanel, Christian Dior and much more. Cellular Phone Online blog for cell phones offring new cellulars, Mobiles news and reviews. Movado Watches Online Blog providing you with Movado Watches reviews and information. FTA Receivers FTA Files, Bin Files and FTA Keys at Receiver Downloads.com. Whether you are an FTA Expert or just bought your first FTA Receiver, we can help you get setup and watching Free FTA channels in minutes. Metal Curtain Poles Unique bespoke metal curtain poles and metal curtain rails made to your exact requirements. Boone, NC Real Estate Boone real estate agents offering Blowing Rock and Boone NC residential and commercial real estate. The North Carolina High Country's preferred real estate professionals. PSP Cheats PSP Games Blog & Forum dedicated to Sony PSP Downloads, Movies, Themes, Wallpapers, Cheats, Hacks, Backgrounds and much More! New Gadgets Gadgets Reviews including Computers & Console Gaming, Laptops, Cell Phones, Cameras, Monitors & Printer, Scanners, Servers & More. Fast food Your daily food source and recipes for better tasty and healthy meals. 42nd Street Photo With over 40 years of excellent customer service, 42nd Street Photo is well known to New York as a great place to shop digital cameras. Alberta auto insurance rates The best Alberta auto insurance rates available. Compare multiple Alberta auto insurance rates from competing auto insurance brokers absolutely free. GetInsuranceQuotes.ca makes it easy to save money on your Alberta auto insurance rates. Burlington Limousine Burlington Limo provides transportation wedding, proms, corporate events, night out, casino or any special occasion. We have affordable packages and excellent service. Skystream wind turbine Hardy solar pioneer in alternative energy since 1977 is now specializing in the sky stream product line. Bathroom vanities Visit Bathrooms 4U for low prices on luxury bathroom products. Find bathroom suites, furniture, showers, baths, sanitaryware and accessories. Eyeglasses Eyeglasses Blog on the latest designer eyewear news, released dates and pricing including brands as Chanel, Oakley, Dior, Prada and Ray Ban. Gold Jewelry Online blog updated 24/7 for Womens Jewelry Reviews, Celtic Jewelry, Costume Gold Cat Jewelry, Vintage Handmade and much more. New Ed Hardy hats GeekHats.com offers hats news and reviews by New Era, Ed Hardy, DC & Stetson - Baseball Hats - Mens & Womens fitted hats. News on Real estate Real Estate Blog - Housing, Investment & Forclosure News - Mortgages & Houses for Sale, Rentals, Commercial & Businesses. Desktop computers Discount Dell desktop computers reviews - Computer hardware repair advices - Online computer parts. Exotic sport cars Exotic Sports Cars daily updated blog with Cool Cars news by Toyota, Honda, Nissan & BMW. Whitewater rafting vacation Thrilling whitewater adventure vacation in beautiful Patagonia, Chile. Relax in Style. Iberostar Tenerife Look, find and book holidays in Iberostar Hotels and Resorts. Rome Apartments Vacation rentals apartments in Rome, Italy. Roman Reference has more than 300 Rome apartments in the historic center. Silver Star Resort Whistler, Silver Star and Sun Peaks resort accommodations and holiday properties and resort info for your ski holiday in Canada. Choose from dozens of Silver Star and Sun Peaks rentals at GOSki.ca.